Can I Play VikingLotto Online? Read Reviews! VikingLotto Exposed — How to Grab These Scandinavian Treasures Online? Do you know what Onsdag Lotto, Vikingalotto and VikingLotto have in common? These are all names for the same lottery game that’s organized across eight European nations. VikingLotto is the world’s first multi-national game and today, it’s more popular than ever before. The whole purpose of multi-national lottery games is to have a bigger number of participating entities, resulting in a larger jackpot than the individual one that can be handed out by a single country. VikingLotto is no exception from the rule and over the years, the lottery has produced some pretty juicy top prizes. VikingLotto was set up in 1993 and initially, tickets were sold in Norway, Finland, Sweden, Denmark and Iceland. Estonia joined the party in 2000 and Latvia and Lithuania followed in 2011. Ever since the inception, VikingLotto has had one curious characteristic. All participating member countries feature one and the same jackpot. The lower prize tiers, however, are determined individually and they vary from country to country. 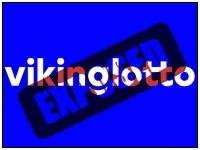 VikingLotto is a completely legitimate Scandinavian multi-national lottery. Over the years, it has handed out prizes worth billions of euro. The game has produced multiple millionaires in the participating countries. Thus, you should confidently go ahead and buy your ticket. The endeavor isn’t going to cost you a lot – VikingLotto tickets retail at approximately 1.5 euro in the participating countries. The national entity responsible for ticket sales and the handing out of prizes is different in each country. Norsk Tipping, SvenskaSpel, Danske Spil and Islensk Getspa are just some of the national organizations. You can learn a bit more about each one and its lottery traditions by visiting the respective website. Each of the national organizations is responsible for supporting charity causes on top of paying out lottery prizes to winners. Thus, regardless of the place where you buy your ticket, some of the proceeds will go to further a good initiative. VikingLotto doesn’t rank among the most complicated lotteries out there and that’s a good thing. If you are looking for a straightforward numerical lottery, this one will definitely appeal to you. For a chance to win the jackpot, you have to pick 6 numbers from a pool of 48. The drawings take place each Wednesday and they are televised and broadcast live on national channels across Scandinavia. On top of the main numbers, one additional digit is selected per drawing. The number can have an effect both on the jackpot amount and the lower prize tiers. Players that buy a VikingLotto ticket are automatically included in participation for a bonus game called Lucky Number Pot. The supplementary prizes are paid out to the individuals that get the supplementary number right. This supplementary number is chosen in the range from 1 to 8. VikingLotto doesn’t have the standard 6/49 format, which means that the odds of winning the jackpot are slightly better than those in other countries. To cash out the top prize, you have to match 6 numbers and the odds of this happening are 1 in 12,271,512. The biggest jackpot in the history of the game fell in May 2013. A single ticket buyer got incredibly lucky and claimed the entire amount of 25 million euro. The winner was from Troms in Norway. The second biggest VikingLotto prize was 20.03 million euro. It was once again won in Norway (lucky, lucky Norwegians!) and the record amount fell in the beginning of 2012. Whenever a person claims the jackpot and an amount from the Lucky Number Pot, the prize is going to be even bigger. For the purpose, the 6 main numbers and the supplementary number will have to be matched. Players can win lower prizes in 7 distinctive ways. To do so, they will need to match at least one of the supplementary numbers. The second prize tier is paid out to those who match 5 main numbers and a supplementary number. In the latest Finnish drawing, the second prize tier was 12,220 euro. The lowest amount players could win in the country was 3.9 euro. The odds of winning the lowest VikingLotto prize are 1 in 19. Because there is a big number of prize tiers to choose among, the overall odds of claiming some VikingLotto amount are excellent. All of the VikingLotto prizes are paid out in the form of a lump sum. More information about taxation regulations and other specifics should be obtained from the national lottery entity in the country where the tickets were bought. Players have 365 days from the date of the drawing to make their claim. Keep in mind that players who claim the top two prizes will have to wait for a couple of weeks before the payout is made. This time is needed for verification and processing purposes. Whenever a prize of 1,000 euro or more is being claimed, the identity of the winner will have to be verified. For that reason, the winner will be asked to present a valid ID. Can You Buy VikingLotto Tickets Online? If you’re feeling excited about VikingLotto, but you don’t live in one of the participating countries, you have no reason to worry. There are some online lottery agency platforms that make it possible for international players to acquire their tickets. For example, TheLotter. Another thing you should keep in mind in such a situation is that if you win, you may have to pay local taxes in the country that you live in. Would you mind rating VikingLotto? The final thing we have to say is that VikingLotto is completely legitimate. Whether this is the game for you or not depends on individual preferences. Some people enjoy VikingLotto a lot more than other multi-national games, some people want more. It’s up to you to decide which group of players you belong to. How Much Does It Cost to Play VikingLotto Online?